What are QS World University Rankings? There is no doubt that rankings have become an imperative part of the tertiary education landscape, both globally and locally. Unquestionably, rankings now play a big role in shaping the opinions of current and potential students, parents, employers, and government about the quality of the educational institutions. The highest weighting of any metric is allotted to an institution’s Academic Reputation score. Expert opinions in the higher education space, on teaching and research quality, are taken into consideration. It is now deemed as the world’s largest survey of academic opinion. The Employer Reputation metric asks employers to identify those institutions from which they source the most proficient, inventive, efficient graduates. The QS Employer Survey is also the world’s largest of its kind. Teaching quality is typically cited by students as the metric of utmost importance when evaluating institutions using a ranking. It assesses if the institutions are able to provide students with meaningful access to lecturers and tutors, as well as reduces the teaching burden on each student. Teaching is one key pillar of an institution’s undertaking. Another is research output. Here, the institutional research quality is measured using the Citations per Faculty metric. To calculate it, the total number of citations received by all papers produced by an institution across a five-year period by the number of faculty members at that institution is gauged. A famed university demonstrates an ability to attract faculty and students from across the world, which is why it possesses a strong international brand portfolio. It also provides both students and staff alike with a multinational environment, promoting an exchange of best practices and beliefs. For any student and any subject, the immediate factor of influence is the teaching environment: what it is like to learn at the university. The rankings are based on a strong belief that the quality of teaching at a university is itself predicated on the quality of its research: knowledge production and knowledge transfer at the university. Hence, in addition to The World University Rankings, six individual subject rankings allow you to delve deeper across different disciplines: Arts and Humanities; Clinical, Pre-clinical, and Health; Engineering and Technology; Life Sciences; Physical Sciences; and Social Sciences. The 13 performance indicators are the same, but the weighting of each indicator is adjusted for the particular features and priorities of the discipline. The QS Graduate Employability Rankings is arguably the most extensive attempt to make a global comparison of the employability results achieved by higher education institutions. This is the newest in the QS rankings portfolio, and, perhaps, the most innovative one. It is an exercise designed to provide the world’s students with a unique tool by which they can compare university performance in terms of graduate employability outcomes and prospects. 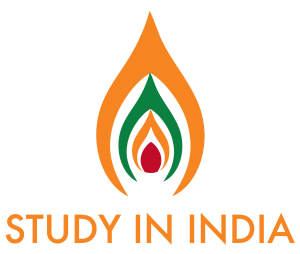 Symbiosis International (Deemed University) enters the 2018 QS Rankings! Check our score here. In a remarkable achievement, Symbiosis International (Deemed University) broke into the QS University World Rankings 2018, as one of the best private Indian university. Overall among the Indian Universities, SI (DU) is in the 144th position. In this year’s ranking, over 950 universities from 84 countries have been ranked. SI (DU) is a popular study destination and is globally recognized for its strong connections with industry, high-impact research and a wide range of innovative courses. Our institutes across the 7 faculties of Law, Management, Computer Studies, Health & Biomedical Sciences, Media, Communication & Design, Humanities & Social Sciences and Engineering, bring high content programmes with a multi-disciplinary approach. Our primary objective is to build a better future. In keeping with this, the University offers a variety of programs under its seven faculties – Graduate, Post Graduate & Research levels. Studying at SI (DU) means extraordinary experiences and achieving more than you ever thought possible. It’s the first step towards a career that could take you anywhere in the world. Learn from outstanding teachers who will push you to achieve your best. Make your home in a unique city that will inspire you to perform to your fullest.